Griffin has many years experience in supplying the material requirements of both urban and rural water supply projects. Griffin is also the sole appointed export agent for a number of manufacturers in this field. Fabricated steel fittings - bends, tees etc. Couplings, reducers, flanges, jointing sets etc. 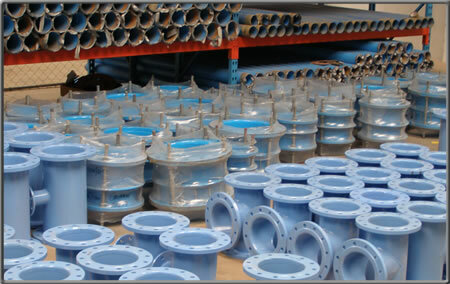 Valves - gate valves, butterfly valves, air valves etc. Water treatment chemicals - Chlorine, lime etc. Drilling chemicals - bentonite, polymers, foaming agents etc.